Good evening, friends! Thank you so much for coming over and sharing all your wonderful creations with us each week. We are almost clear from the Northern California Fires. The air isn't as full of smoke and the forecast is for a light rain this evening, one that we have all been praying for to help our wonderful, courageous firefighters. We are SO grateful! With that said, Welcome to Shoestring Elegance and the What to do Weekends Party! If you are new to the Party. We are so very glad you are here! Please do follow the Party Board! Talented people all around me! I love it! Marie from the Interior Frugalista shared her super cute Fabric Pumpkins With Cabinet Knob Stems. I love them! These kinds of pumpkins I would have around my house! Jody at You Brew My Tea really was thinking outside of the box with her sweet Dryer Vent Fall Pumpkin . Love this idea! 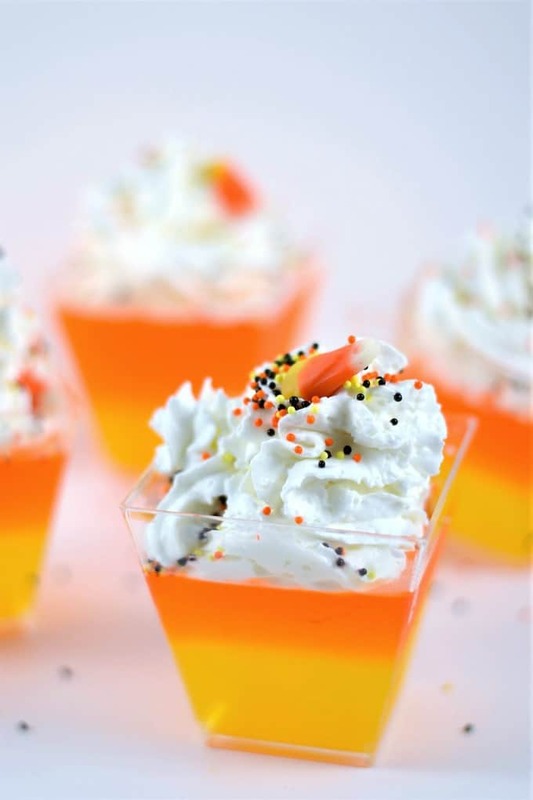 Burlap and Blue shared this fun and Easy Candy Corn Jello Recipe. It's sure to be a hit with the kiddos! Leigh at Don't Sweat the Recipe shared her yummy Pumpkin Spice Bundt Cake! Okay, who doesn't love PUMPKIN SPICE CAKE??!! I can't even imagine the Autumn season without it. Brooke at Suddenly Southern share her sweet Fall Antique Hutch Cabinet that turned out beautiful. You'll have to click the link to see all the beauty she has in her pretty hutch. 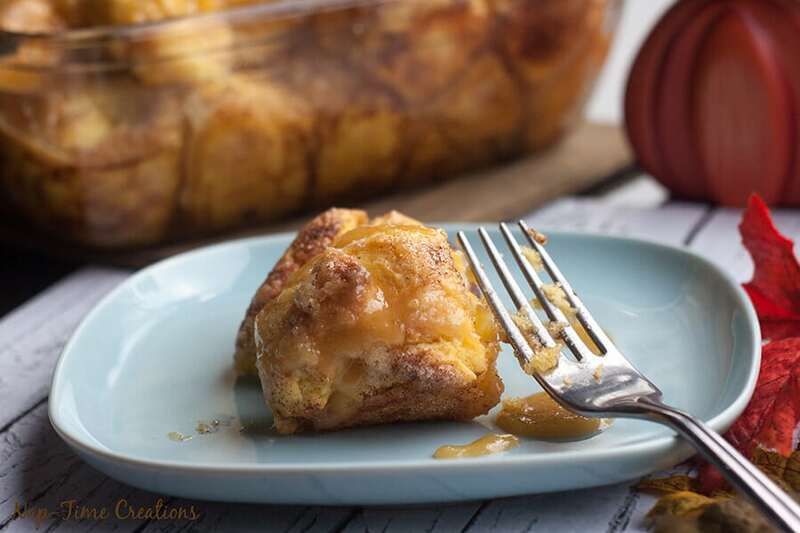 Emily at Life Sew Savory shared a wonderful recipe for her Pumpkin Monkey Bread and she made the dough herself, I'm anxious to see how this recipe will turn out for me. You know, sometimes, simplicity is best. 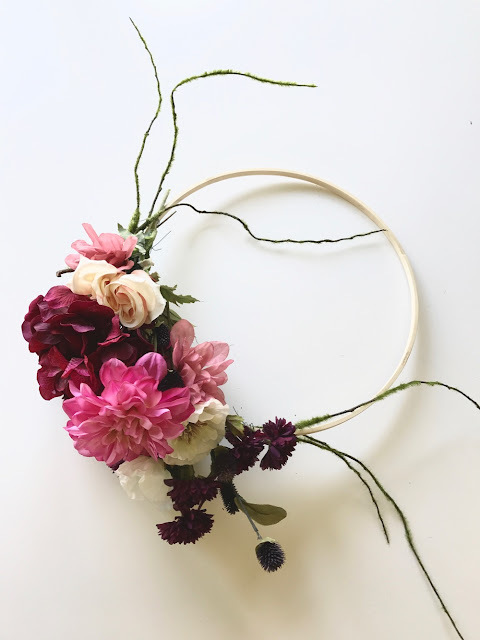 Like Andrea from Life Love Larson's beautiful DIY Modern Fall Wreath I just love these colors. 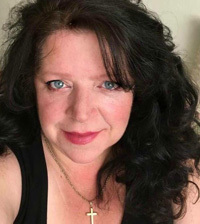 Theresa, thank you so much for the feature! Have a wonderful weekend. My pleasure, Leigh! You, as well! Glad you've been safe during the fires! My sister in law lives in Sonoma and while she did have to evacuate, the fire did not reach her home. It was close though. Thanks for the party. Hope you have a good weekend, Theresa. Oh Beverly, I'm in Sonoma County. In Petaluma. I'm right there with your sister! We had to have a "GO" bag ready in case the flames got closer! Thankfully, there are blue skies now and the smoke has cleared. My town seemed top be the only one not to get too much fire. Instead we became evacuation central. It's an awesome community and everyone stepped up, beyond our expectations. Glad to know your Sister is okay. Hugs to you, dear lady! 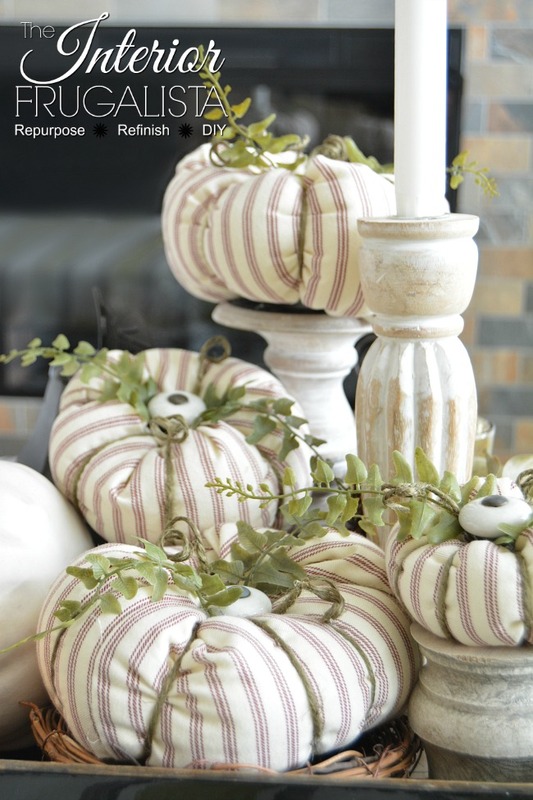 Thank you so much, Theresa for featuring my Ticking Fabric Pumpkins - much appreciated! Have a great weekend. My pleasure, Marie. Happy Weekend! 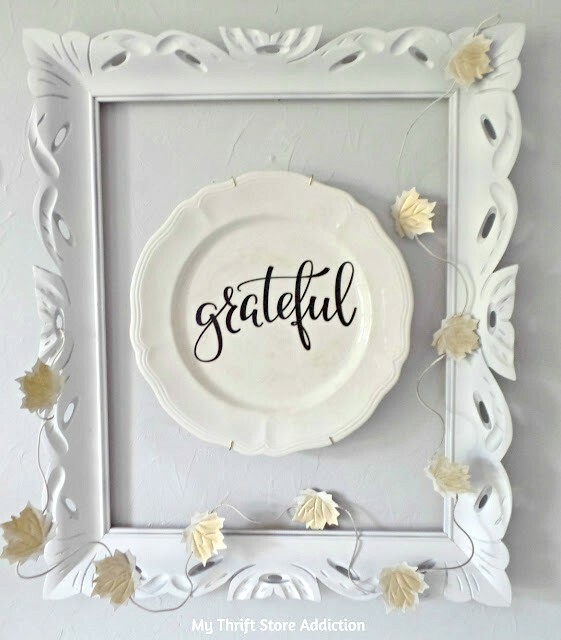 Theresa, thanks so much for featuring my upcycled vintage plate sign! Oh Cecilia, it was my pleasure! Love your sign! 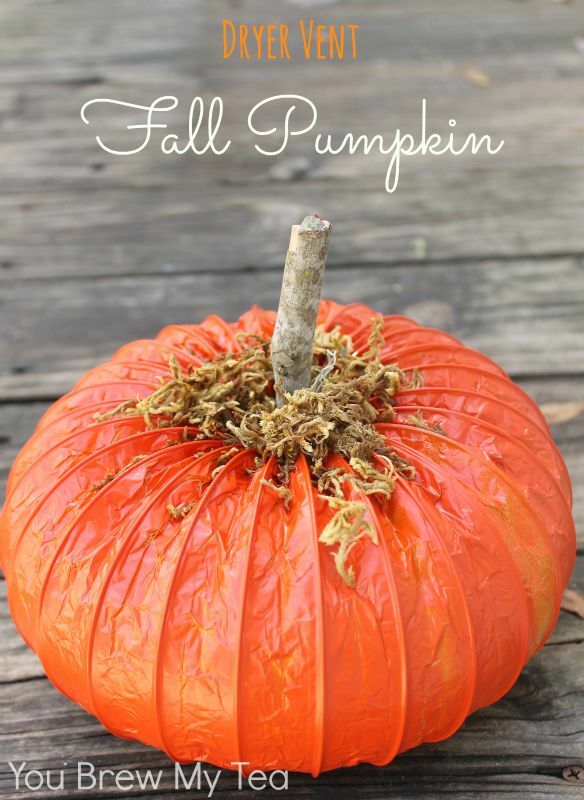 What to do Weekends #246 ~ Happy October!